Battersea Dogs and Cats Home has a long history of caring for dogs which have been abandoned or whose owners were unable to cope. Unfortunately many dogs at Battersea arrived because their previous owners only considered what they wanted their dog to look like – not its background and behaviour patterns. As a result Battersea has seen a rise in the number of pure breed dogs it receives as well as a rise in the number of dogs that need country homes. The most popular dogs purchased by misinformed town dwellers are, incredibly, Border Collies. These dogs love mental and physical stimulation – they are literally bored silly in the city and need space and air and things to chase. Other breeds unhappy with life in the city are Jack Russell Terriers (miniature whirlwinds), Labrador Retrievers, Golden Retrievers (both have endless reserves of energy and stamina), Springer Spaniels (originally bred for retrieving they have energy and stamina reserves to rival the Labradors and Golden Retrievers) and Lurchers (a very strong chase instinct coupled with very bad recall means a three legged Lurcher in the city). Battersea has also lately seen a rise in Japanese and American Akitas. These awe inspiring dogs were originally used as hunters in Japan, therefore they have a very low tolerance of other dogs and so need to move to an area with a low dog population. These are examples of some of the breeds which are unhappy in the city, and over the next few months dogs like these will be looking for places to live where they are more at home, with loving owners who can give them the attention they need. This month, the dogs needing immediate housing are Luke and Paddy. Luke is an active young lad with an aloof nature. However, once he builds a bond he will be your best buddy but he needs experienced dog owners who will give him consistency in training and formal handling. He does have mild possession issues around toys so will need structured play. Luke can be pushy around other dogs and could easily get himself into trouble. New owners must be confident as he will need socializing on the lead with calm dogs. Luke is a really lovely boy and it seems that people are put off by him being vocal in the kennels but he just loves people and will make the right owner a wonderful companion. He needs to live in a semi-rural or rural environment with an experienced owner, in a home with no children, cats or other dogs. 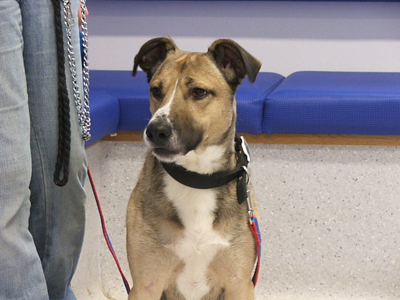 Luke is at Battersea Dogs & Cats Home, Brands Hatch. If you are interested in giving him a home, please call the rehoming team on 01474 874994, quoting reference 07/03412. Paddy is a friendly, mature man who is generally a sociable dog but can be a little aloof at times. He does, however, come around quickly and is still active and loves to play with his toys. He can be stubborn and set in his ways so owners will need to be understanding and happy to accept Paddy for who and what he is as he is unlikely to change. Often overlooked in the kennels due to his age, Paddy is a lovely old lad who really deserves a good, loving home. He needs to live in a semi-rural or rural environment with an owner who has some previous experience. He can live with another dog but not cats, and also with teenagers. 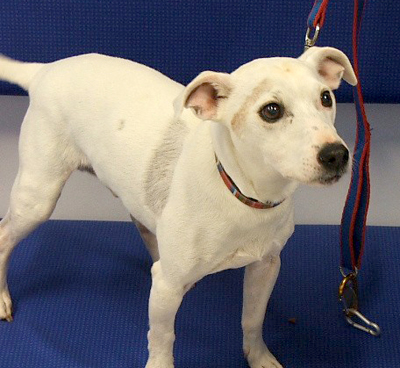 Paddy is at Battersea Dogs & Cats Home, Brands Hatch. If you are interested in giving him a home, please call the rehoming team on 01474 874994, quoting reference 07/40149.